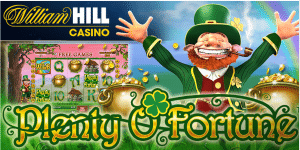 William Hill Bingo has been in operation since 2007 and has grown to become one of the most popular sites available for a range of bingo games, slot games and other gaming options. The casino welcomes you with an alluring welcome offer. Sign up today with the official bingo promo code to get your hands on a 400% match bonus of up to £40 on your first deposit. At William Hill Bingo, you can enjoy special games including Deal or No Deal Bingo, a massive choice of bingo games such as BOGOH, extras including chat games, loyalty points and bingo jackpots as well as a range of casino slots, scratch card and arcade games. What makes William Hill casino a great product is that it is a fully comprehensive casino and encompasses and specialises in more than just one gaming option. When it comes to bingo, players are able to pick and chooses from various types of bingo games including 75, 80 and 90. New signs have access to 8 days of free bingo games at the Arrivals Lounge and an awesome new player bonus to go with it. Additionally, the casino runs monthly, daily and weekly promotions so players can always get their hands on a bingo bonus. Tickets start from as little as 1p so everyone has the opportunity to play online bingo. Players can also enjoy the benefits of BOGOF (buy one get one free) to help increase your chances of winning and having more tickets. Every evening from 5 p.m., there are free tickets up for grabs in every game, regardless of which game you prefer the most. 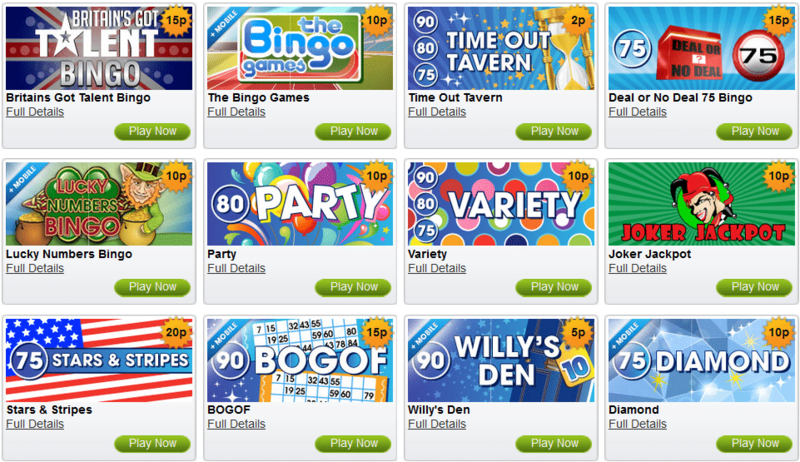 Enjoy a myriad of chat games, side games, bingo jackpots, slot games and loyalty points galore. All new players who sign up to William Hill Bingo can take advantage of the 400% welcome offer up to £40 on their first deposit. Make a deposit of £10 on bingo tickets and new customers get access to 8 days of free bingo at the Arrivals Lounge. That’s £40 in total to play with. Newcomers are also entitled to 8 days of free bingo at the exclusive William Hill Bingo Arrivals Lounge. This room is only available to new players and prizes include a whopping £3,200 in prize money. The room is open the following times: 10 a.m. to 11 a.m., 4 to 5 p.m., and 7 to 8 p.m. every day. To date, William Hill does not offer live chat support which is quite unfortunate. If players have any questions or queries while playing on the website, they need to go via the William Hill Casino FAQ page for further information. If the FAQs on the specific page don’t answer your queries, then you can contact the Customer Support team via Freephone or email.